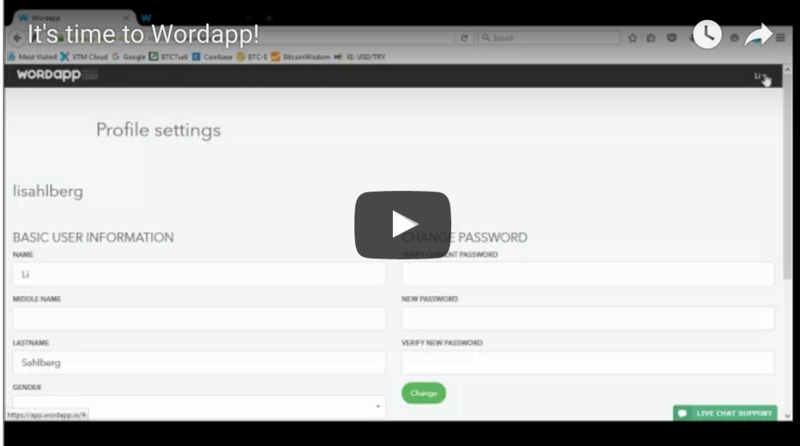 Get started in Wordapp with this simple video! Getting started in Wordapp is simple and fast! After signing up as a freelance writer you will receive your login details as soon as possible. Check this simple video below to get started and use the full powers of Wordapp. It will show you everything from the task feed and your reports panel to how to change your password and add new languages to your profile. Join us in one of our workshops, check out the FAQ section (or FIQ for Ulrika, because while managing the chat these are her ‘frequently incoming questions’). You can chat us as well of course!